Zo! 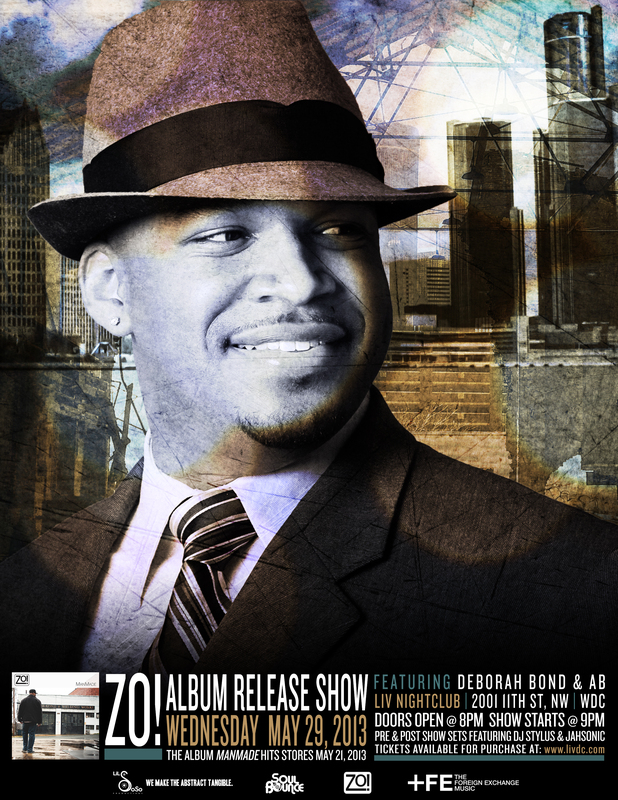 – ‘ManMade’ Album Release Show in D.C. – May 29, 2013 – Zo! Posted on April 8, 2013 by Zo! Zo! – ManMade Album Release Show in D.C. This entry was posted in Events, Performances and tagged AB, Album Release, Deborah Bond, Liv Nightclub, ManMade, Release Concert, Release Party, Release Show, Shows, Washington D.C.. Bookmark the permalink.